QPR ran riot at St Andrews as they overcame Birmingham City 4-1 with their best performance of the season. Matt Smith opened the scoring with his first goal for the club on 18 minutes after the R’s had dominated the first half in the midlands. Such was the level of the display, the real concern for QPR at the break was that they didn’t lead by more, after a host of chances went begging in the opening 45. 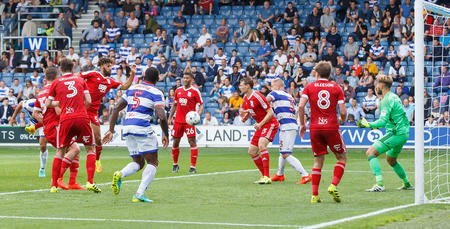 But Rangers continued where they left off after the break, doubling their lead through Conor Washington on 47 minutes. The hosts enjoyed a period of possession after this, as QPR looked to protect their lead, but the R’s increased their lead on 84 minutes through substitute Idrissa Sylla before Yeni Ngbakoto slammed home a thunderous free-kick four minutes later. The hosts netted a consolation in injury time through Emilio Nsue. Ian Holloway made three changes for this afternoon’s game, bringing in Darnell Furlong, Joel Lynch and Luke Freeman at the expense of James Perch, Massimo Luongo and Jamie Mackie. Having signed a contract extension 24 hours before kick off, Alex Smithies made his 51st appearance for the R’s between the sticks, behind a back five of Jake Bidwell, Lynch, Grant Hall, Nedum Onuoha and Furlong. 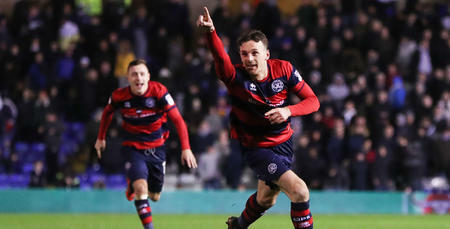 Having made a goal-scoring impact from the substitutes’ bench against Huddersfield last weekend, Freeman was handed his first start for QPR, joining Ryan Manning and Pawel Wszolek in midfield. Matt Smith and Conor Washington continued their partnership in attack. Rangers were looking to end a run of five games without victory, while their hosts went into this match looking for only their second win in 14 games. Birmingham fashioned the first opportunity of the match in the opening minute, but Che Adams pulled his shot wide of Smithies’ goal from 20 yards. At the other end of the pitch, Freeman started the game strongly and he fired a thunderous half-volley goalwards which Tomasz Kuszczak did well to parry, while Smith’s follow-up was blocked. It was an open start to the game, perhaps demonstrating the feeling within both camps that three points were very-much the only target this afternoon. And on 13 minutes, Emilio Nsue managed to miss a gilt-edged chance from three yards to the relief of the R’s. Jerome Sinclair broke down the right for the hosts before sending in an inch-perfect cross for Nsue. With the goal at his mercy, his headed effort bounced off the ground and wide. It would have been harsh on QPR, who certainly started the stronger of the two sides. And just moments after that let-off, it was Rangers’ turn to go close as Smith intercepted an under-hit back-pass before diverting beyond the out-rushing Kuszczak, but the Blues managed to get enough bodies back to hack clear, while Washington then saw a header drift just wide. But on 18 minutes QPR had the goal their start deserved. A brilliant corner from the left by the impressive Freeman was ideally-placed for Smith, and the striker timed his run towards the six-yard box to perfection before heading home his first goal in QPR colours. The goal seemed to give the visitors greater confidence, and they began to control proceedings, with a very high work-rate which pinned Birmingham back for periods of the opening half. And in the 31st minute, Smith came close to getting his second of the afternoon, with a very similar effort to his opening goal. Freeman’s corner from the left was met by the R’s No.17 at the back post but his low header was brilliantly saved by Kuszczak low to his right, although the referee had blown for an infringement by Smith. QPR really should have doubled their lead just seconds later when Manning picked out Wszolek with a brilliant ball from the left. With time on his side, Wszolek headed directly at Kuszczak, who managed to save, while Freeman’s follow-up shot cannoned off Washington and went wide. Birmingham almost found themselves level in the 35th minute when Adams shot goalwards from 12 yards but his shot was charged down by Hall. It was a warning for QPR whose lead was narrow, despite creating a number of great chances. And moments later, the hosts went even closer to an equaliser, as Sinclair’s effort from 25 yards took a deflection off Lynch before hitting the top of Smithies’ crossbar. What a game this was turning out to be! Greg Stewart was next to go close for Gianfranco Zola’s side, as his set piece flew seemingly inches wide of Smithies’ goal. The reaction of the R’s stopper, however, suggested he was always confident it was sailing the wrong side of his post. But the R’s again had another brilliant chance to score a second, and again it was Smith who went close. After initially trying to flick Manning’s cross from the right into the path of Washington, the ball deflected off Ryan Shotton and back to the feet of Smith. From 12 yards, his low effort was well saved by Kuszczak, to the striker’s evident frustration. As the half-time whistle blew, Ian Holloway’s biggest concern of the opening period will surely have been that his side only led by one goal. Zola made a change at the interval, bringing Kerim Frei on for Josh Dacres-Cogley. There were no changes for QPR. And it took the R’s less than two minutes after the break to find that second goal, with the in-form Washington netting his third goal in five games. Hall’s ball into the box from the left side arrived at the feet of Manning, who tried to create a shooting opportunity for himself, and the Birmingham rearguard could only knock the ball into Washington’s path as they tried to avert the danger. Washington, from 12 yards, took a touch to steady himself before drilling the ball into the back of the net, to the delight of the 1,500 QPR fans behind the goal. Having netted the second, the natural reaction of QPR was to protect that cushion, while looking to catch the hosts on the break. Sinclair forced a good save from Smithies on the turn, while Kuszczak had to be at his athletic best to prevent Rangers from grabbing a third on the hour mark. Following Freeman’s corner from the right, the ball fell to Manning on the edge of the area and he cleverly flicked it to the far post for Hall, but his goalbound header was excellently tipped over the bar by the home custodian. On 70 minutes, some good football by Birmingham on the edge of the R’s box seemingly freed Sinclair beyond the QPR backline, but the offside flag was raised as his effort was saved by Smithies. The hosts went within inches of halving the deficit in the 77th minute. Sinclair’s pull-back from the left byline was guided goalwards by Nsue, but with Smithies diving full length, the ball went just the other side of the upright. It was a reminder for QPR that this game was far from over. For the final 15 minutes, Holloway replaced Smith – who received a standing ovation from the R’s fans – with Idrissa Sylla, to provide a fresh pair of legs in attack. 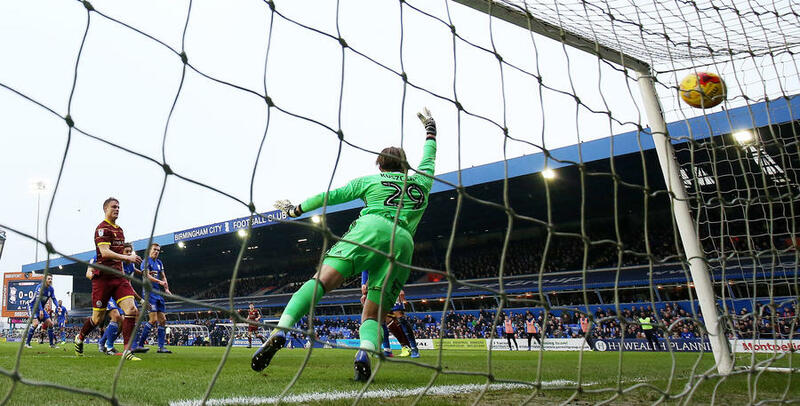 But it was at the other end where the action was, and Birmingham thought they had scored in the 81st minute when Greg Stewart got on the end of Robert Tesche’s deep cross from the right, but his header from a tight angle bounced just wide of Smithies’ far post. Rangers’ work-rate was incredible throughout this game, and it was the running of the hard yards which led to QPR’s third goal of the afternoon on 84 minutes. Hall and Washington battled for possession in the middle of the park, before Washington won it and played Wszolek in down the right. The Pole advanced before, typically, picking out a perfect ball to the far post, and Sylla was there to head home from eight yards, in very similar fashion to how he did at Fulham earlier in the season. 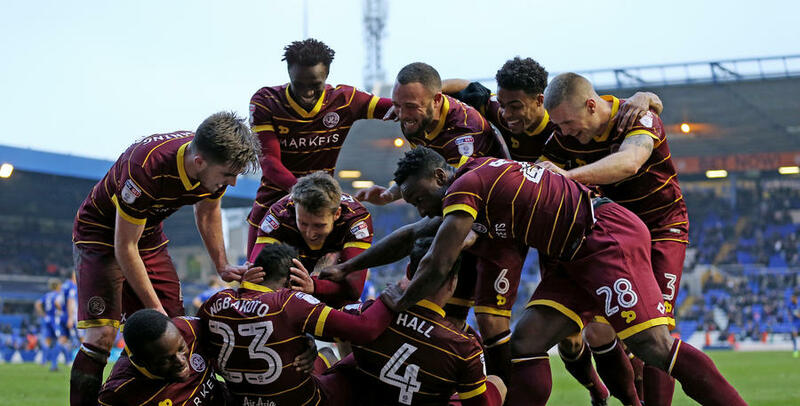 As the home fans streamed out of St Andrews, the R’s supporters behind the goal were in full voice as they witnessed arguably QPR’s most complete performance of the season. But the goal-scoring hadn’t finished – with Yeni Ngbakoto smashing home the goal of the afternoon on 88 minutes with a simply stunning free-kick just moments after coming on as a sub. From 30 yards, the Frenchman smashed the ball beyond Kuszczak, off the crossbar and into the back of the net. Nsue netted an injury-time consolation for the hosts, sliding the ball beyond Smithies from the right, but it didn’t dampen the mood amongst the travelling supporters after a stunning QPR display. 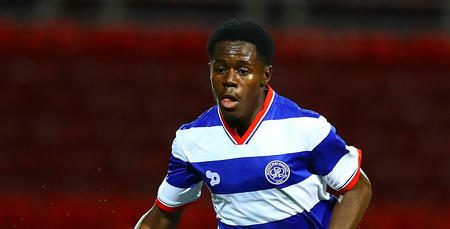 WATCH highlights of QPR's stunning 4-1 win against Birmingham City in the Sky Bet Championship.